An exceptional, weeping form with a strong branching habit. The leaves emerge red in spring and become dark green in summer. 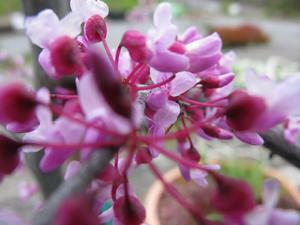 Lavender-pink, sweet pea-like flowers appear on the bare branches in spring.